As a franchisor, your success depends on the success of each franchisee. Don’t forget that success happens together. 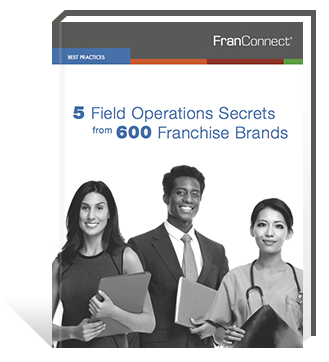 There is no “one size fits all” for franchise organizations when it comes to field operations, but we’ve learned a few secrets from our 600-plus customer base that are worth a read. Download this free ebook to spot check your operational practices against those that work for the most successful franchise brands in the market today. Fill out the form below to download the ebook right now.